Cheryl Abrahams, partner at specialist claims solicitors Bolt Burdon Kemp and head of the Personal Injury team, explores 3 developing technologies that can assist in diagnosing traumatic brain injuries (TBI). Brain injuries can have serious consequences for both the injured person and their loved ones. 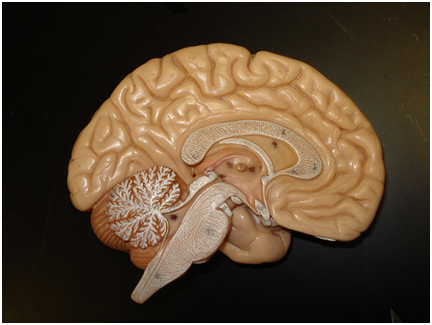 Currently, in order to understand how an individual’s injury has impacted their brain, and to determine the specific areas of the brain that have been affected, many medical professionals rely on techniques such as MRI scanning to produce imagery of the brain, which they can then analyse to identify specific areas of injury. However, new technologies are being developed to create even more specific and sensitive scanning techniques, benefiting doctors and brain-injured people alike. Exciting developments are also afoot to improve the speed at which brain injury can be detected. If an incidence of brain injury can be detected at the earliest possible opportunity and then the affected person speedily referred for further testing, it should be possible to deliver more focused and targeted rehabilitation at an earlier stage. Thanks to new technological advances this is increasingly becoming more possible, which should therefore result in better outcomes. Here are three interesting recent developments in the field of diagnostic technology which have potentially exciting and beneficial implications for the diagnosis and treatment of traumatic brain injury. Immunoassays have long been used in medical science as a method of detecting molecules within the blood, which can alert a doctor to foreign bodies linked to disease or damage. Diagnosis technology company Quanterix have recently won a grant based on their new type of immunoassay that will be highly useful when dealing with mild to moderate TBI. Their technology, called Simoa™, measures molecular signals in the blood just as with normal immunoassays, but the increased sensitivity allows the test to focus on individual molecules, assessing them using fluorescence imagery. This increased level of being able to examine individual, specific molecules brings with it a deeper level of diagnosis than other immunoassays would be able to detect. Furthermore, the fact that the technology will simply involve a blood test means the time and equipment involved in the analysis is reduced, allowing TBI to be quickly assessed. It therefore has promising applications for areas in which brain injury is known to be a risk – for example, it could be carried out on the side-lines of contact sports games, in which athletes are often at risk of such an injury. While MRI is the most obvious and well-known scan for investigating TBI and its effects in the brain, a lesser-known technique called magnetoencephalography (MEG) is rapidly overtaking MRI with its ability to more accurately investigate activity in the brain. 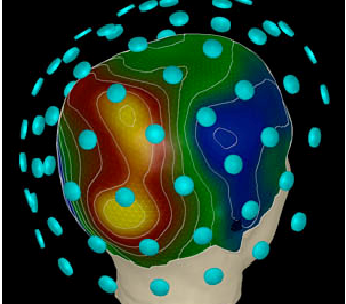 The technique involves measuring the electrical currents inside the brain’s neurons, and monitoring the magnetic fields they create. By carrying out this analysis, it can more accurately depict the functioning of the brain than an MRI scan can, by pinpointing locations in the brain where activity may be less than in comparison to a healthy brain. This assists in TBI diagnosis follow-up as doctors can more effectively understand how a patient’s brain functioning has been affected, meaning that therapy and rehabilitation can be more focused on improving their skills and abilities. Revealing underlying damage to specific fibres allows both patient and doctor to better understand the implications of the injury in comparison to less detailed methods, which may only highlight bleeding or swelling. 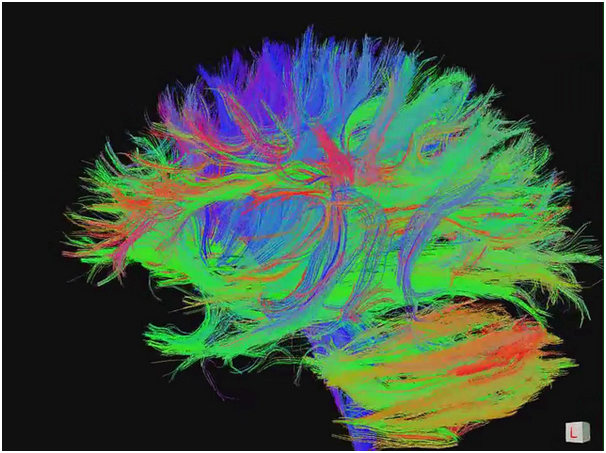 These new developments in technology offer significant benefits to the medical profession and those who have experienced a serious injury to the brain; in particular, high definition fibre tracking and MEG scanning promote a better understanding of the implications of brain injury. Fortunately, MEG scanning is now fairly common in most severe TBI cases, while high definition fibre tracking is being gradually introduced into the diagnostic process. Finally, the use of increased sensitivity immunoassays is an extremely new development, with the grant for further work only being awarded in January this year. While this technology may not be readily available yet, it has very promising implications for diagnosing and treating TBI in the future.